Sunny position, good air circulation, good drainage, regular pruning. Spacing: Be sure to check the mature height and spread of the variety you’ve chosen and plant accordingly. Avenues and hedges can be planted more closely. 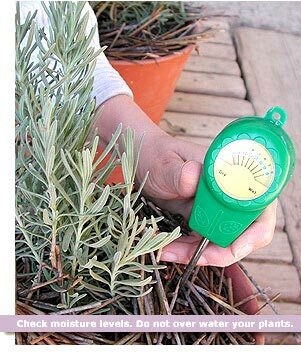 Soil: One bucket of compost per plant will not only get your lavender off to a good start but improve soil texture, adding nutrients to sandy soil and loosening up heavy clay. Regular dressings of compost will extend the life of the plant. Take care when mulching to keep the compost clear of the stem. If in pots: Choose a really large pot, preferably clay, not plastic, with plenty of drainage holes and put an adequate layer of crocks at the bottom. Give it a spot where it can get sun for at least seven hours. Water regularly, allowing the planting medium to just about dry out in between waterings. Feed occasionally – a quarterly sprinkle of slow-release granules is the easiest way.